Vinpocetine is derived from the periwinkle plant, is readily bioavailable and crosses the blood brain barrier. There is preliminary evidence to suggest vinpocetine can counteract neural inflammation and improve reaction time, working memory and attention. Vinpocetine is absorbed when taken through oral ingestion, or when applied topically. Interestingly, Vinpocetine appears to accumulate in particular brain regions. Specifically, the thalamus (central relay for motor and sensory coordination, also involved in the regulation of alertness and sleep), basal ganglia ( a group of structures linked to the thalamus involved in coordinating motor function), putamen, and visual cortex. Another study of 24 healthy volunteers, investigated study found that Ginkgo biloba (40 mg) and Vinpocetine (10 mg) taken together significantly decreased reaction times for a working memory task after the combination was consumed for 14 days.3The accumulation of vinpocetine in motor portions of the brain suggests that this reaction time increases may be a result of enhanced motor function. Vinpocetine is taken in the daily dosage range of 15-60mg, divided into three daily doses with meals. The standard low dose is 5mg at each of these three meals, with 20mg at each meal being seen as the higher end of efficacy. These doses are taken for the purposes of neuroprotection, enhancing cerebral blood flow for acute enhanced cognitive performance, and for reducing the rate of cognitive decline. The evidence suggests vinpocetine supplementation improves blood flow to the brain, however, the evidence for cognitive enhancement is not definitive and requires further investigation. The accumulation of vinpocetine in motor regions of the brain, coupled with evidence that it reduces vascular tone to increase blood flow, suggests vinpocetine may improve motor function through increasing activity of motor-relevant brain regions. However, much more research is needed on the functional effects of vinpocetine in the brain and any purported improvements in mental and physical performance. Hagiwara, M., Endo, T., & Hidaka, H. (1984). Effects of vinpocetine on cyclic nucleotide metabolism in vascular smooth muscle. Biochemical pharmacology, 33(3), 453-457. Subhan, Z., & Hindmarch, I. (1985). Psychopharmacological effects of vinpocetine in normal healthy volunteers. 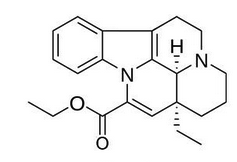 Eur J Clin Pharmacol, 28(5), 567-571.